This article was originally published on Mobile Solutions. CHICAGO, IL and CENTENNIAL, CO - January 8, 2019 – TBI, the white-glove master agent and one of the nation’s leading third-party technology distributors, and Mobile Solutions, a leading provider of full life-cycle Managed Mobility Services, have partnered to offer TBI customers and agents access to Mobile Solutions’ comprehensive SaaS solutions and services. For more than 25 years, TBI has been assisting IT consultants, VARs, MSPs and more than 3,000 other industry professionals to source, advise and quote the right solution for each customer. TBI serves as their partners’ advocate, ensuring the most competitive prices and trouble-free provisioning of cloud, voice, Internet, data, mobility and managed services. "Our partners are growing in the mobility space month over month," said Mike Onystok, Sr. Vice President of TBI." IoT, Wireless Backups, Mobility, and the emergence of 5G represent an enormous amount of opportunity. Mobile Solutions brings a unique approach to Wireless Expense Management, enabling partners to monetize an optimization without migrating to a new service provider." 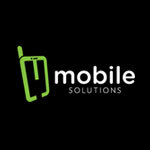 Mobile Solutions is coming off their best year yet, launching their next-gen mobility management solution, MAX. MAX was designed from the ground up on the feedback from the people who use the system every day, their clients. After successfully migrating all their clients, while also generating record fiscal numbers, Mobile Solutions is ready to embark on new opportunities for 2019. Through its partnership with Mobile Solutions, TBI will continue to give customers peace of mind knowing their mobility services are being managed by expert providers. Together they will help customers spend less time on everyday mobility management tasks and more time focused on growing their business. Clients will benefit from Mobile Solutions’ intuitive portal, 24x7 in-house service desk, and teams of mobility experts. Mobile Solutions is a SaaS company that provides full life-cycle Managed Mobility Services including procurement, staging and kitting, real-time expense management, business analytics and reporting, account optimization, 24x7 US-based support, managed Unified Endpoint Management, and device reclamation services. Our 24x7, in-house service desk and real-time account management make us more than an industry leader in mobility management. It makes us your partner. For more information, click here to check out our offerings!